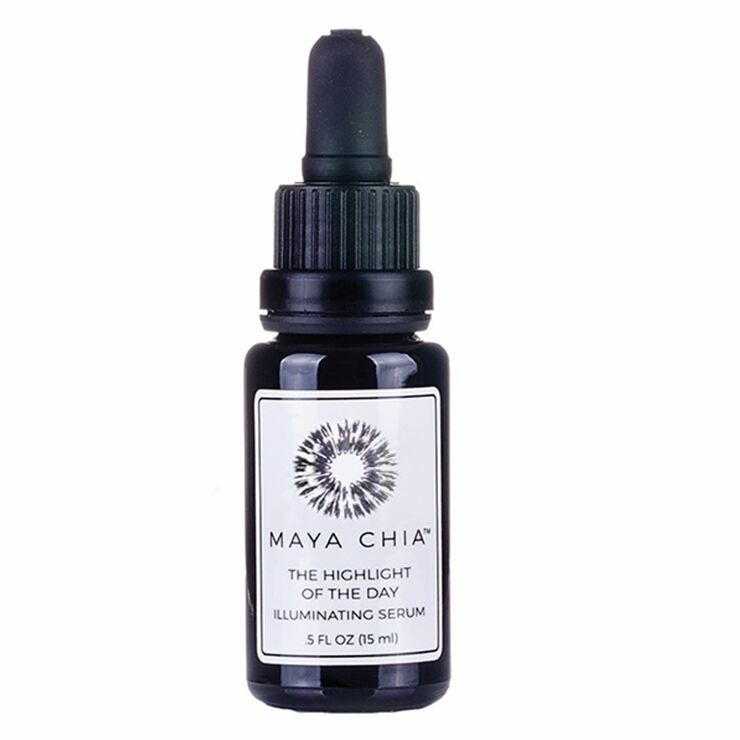 The Highlight Of The Day by Maya Chia is an ultra-lightweight and non-greasy serum that gives skin an instantly illuminated appearance. 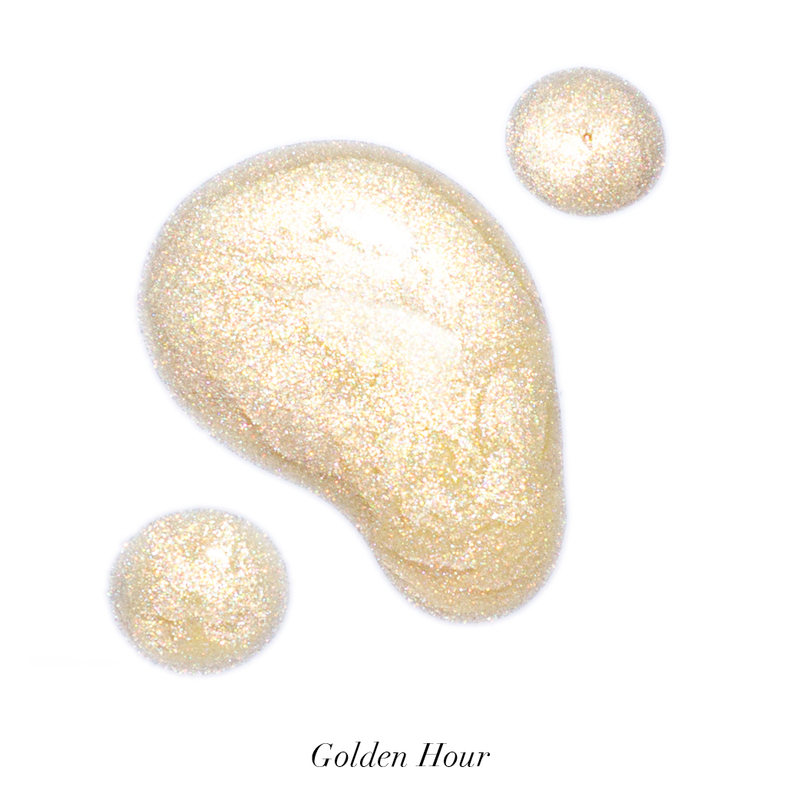 This pearlized mineral sheen sits in a base of supercritical chia oil, making it the ultimate makeup as skincare beauty product. 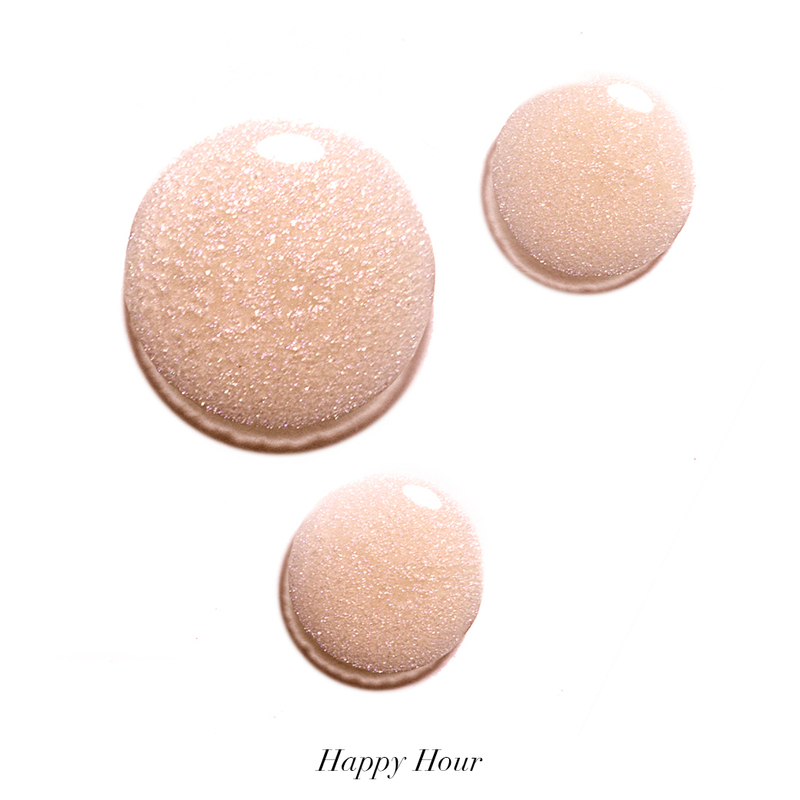 Whether you enjoy the effervescent pink hue of The Happy Hour or the warm tones of The Golden Hour, or the bronze-golden glow from After Hours, your skin will enjoy the benefits of nutrient-rich botanicals like broccoli seed oil, calendula and rosemary. 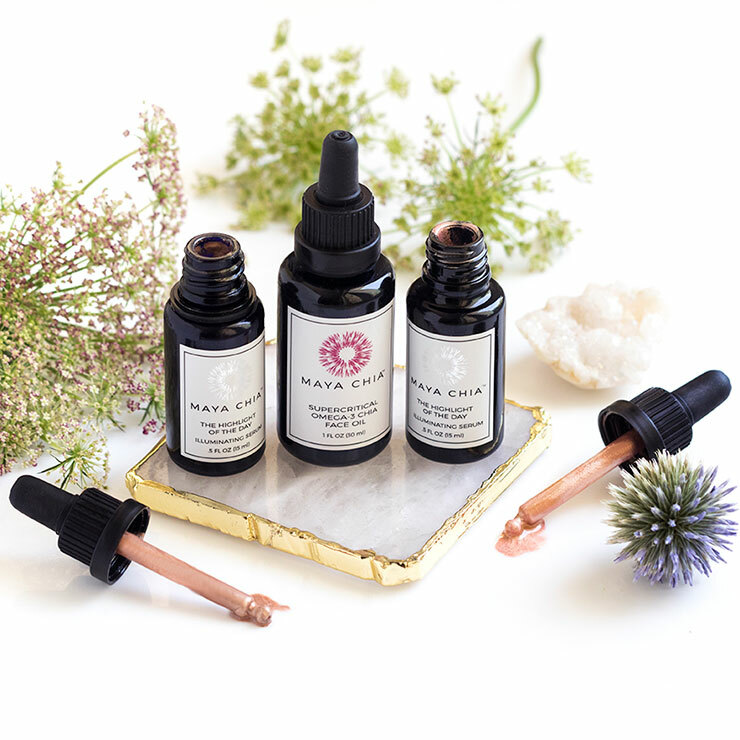 Apply a few drops of this Maya Chia illuminating serum to finger tips and and dot on cheek bones, eye brow arch, nose, cupid's bow and anywhere you want to highlight. For an all over glow, belnd a couple of drops into your favorite foundation. 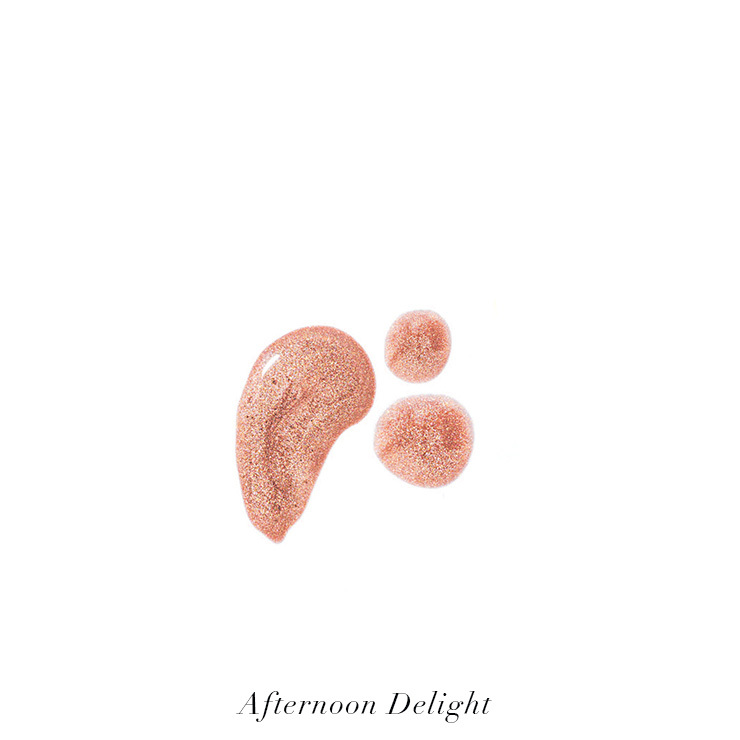 Apply onto skin without makeup for a look of all-over healthy glow. I love the Gressa foundation but it can be a bit dry on my skin. 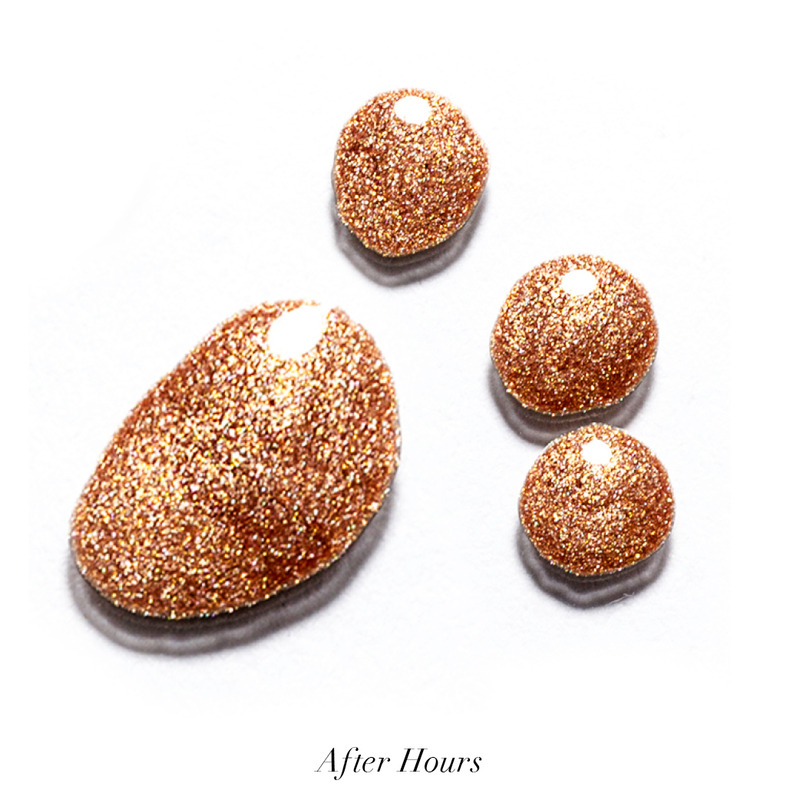 I now mix a drop or two of After Hours to the foundation and then apply for a more moisturizing and glowy look. I get the same great coverage and wear from the foundation, but I look more fresh! This combo is my favorite routine at the moment. I absolutely adore this highlighter, i got it in the golden hour shade and i've been getting so many compliments on how beautiful it is! A repurchase for sure. I may be biased because I want my glow to be a little....extra. This is nice and i'm keeping it because it is a good hydrating skin shimmer however if you really want a highlighter that well, HIGHLIGHTS this isn't it. It also smells a little funky. All in all not a terrible product, but as makeup it is not exceptional.